The library of Barnes Primary School in SW London had sloping roofs and was a somewhat claustrophobic space. 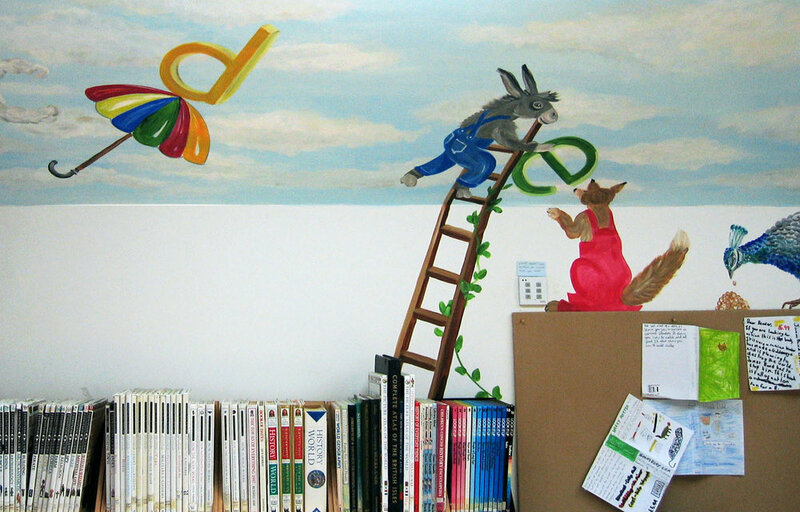 We used a mural design to create a signature for the redecoration of the school library, and created a new living area for the children who were between the ages of 5 and 8. 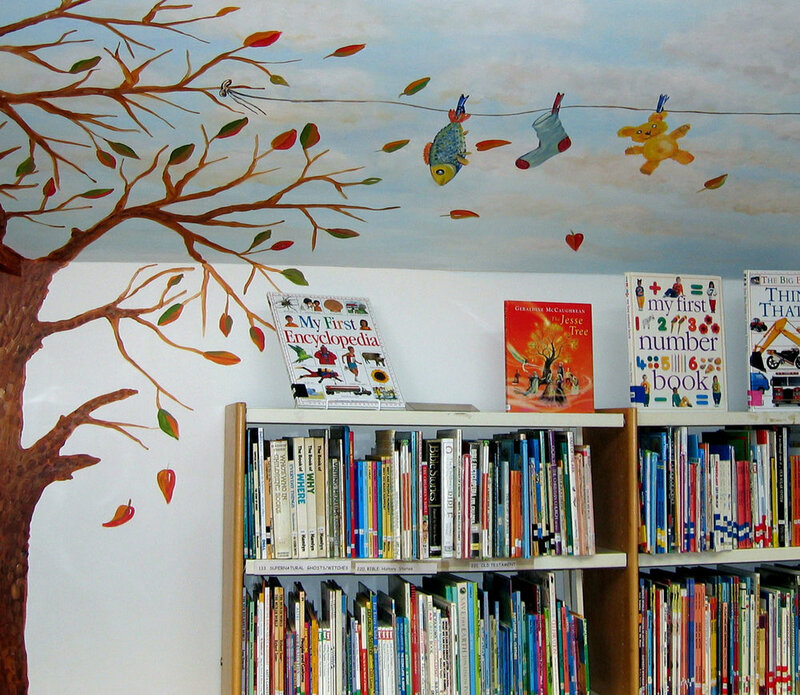 FabLab Design created a skyscape mural for the ceiling and split the library room into four areas, each being painted to represent a season. The sky mural in the ceiling created a clever illusion of greater height, and the trees painted on the walls symbolized knowledge. 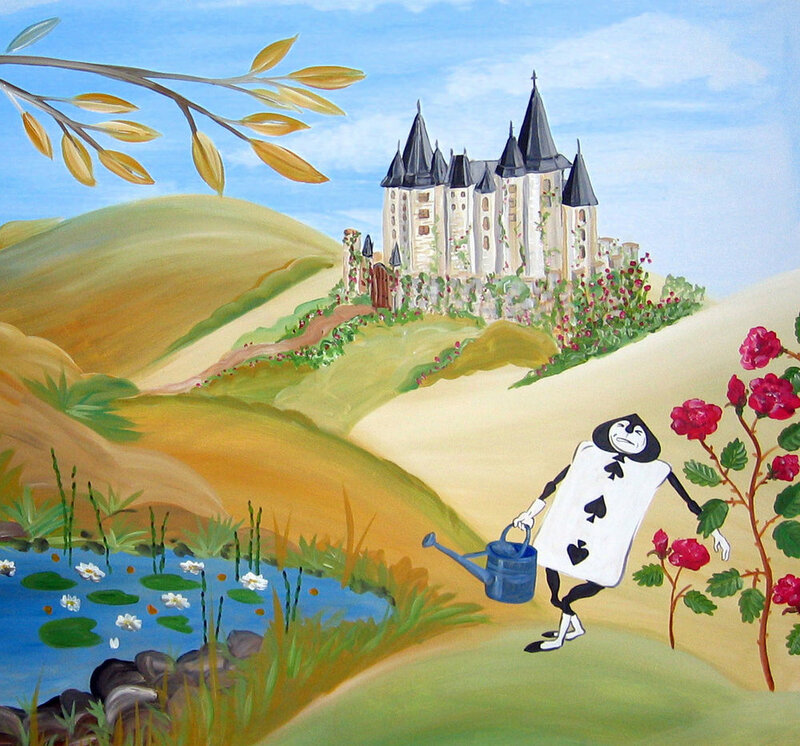 We also added adventure scenes, both during the day and night, with motifs painted on the wall from several different fairy tales.